Beautiful. How many ships have you completed? You have a lot of them. 272 completed since I started counting in October 1992, but I built a considerable number in the 20 years or so before that. Have only kept a small number, as I sell them. I don't take private commissions, and don't advertise them. Collectors just ask me what is available from time to time. The hobby is self-financing. A few years ago, I was producing 13 or 14 per year! Wow. That is a lot. Yeah this is why your models are so clean and preside. The more a person builds the better they get at it. I once read an old ship in bottle builder say it get a easier after the first 100. I dont know if it gets easier but I think they start looking much better after the first 100. Your older work is very good but yeah there is a big difference between the two. The spats are more to scale, the lines are smaller and more to scale, the blacks are noticble where before they were not. There's a lot more to your deck furniture now. You have come a very long way. It is funny to me that moat people cant tell the difference. I've seen it in some of the repair work I've done. I helped a man in his 80's rig a Constalation which turned out well enough, especially,given the time constraints, but compared to what I was used to seeing from other members in my club like say John McCann, it was severely lacking. The man and his family didnt know the difference so they were very impressed. There's a lot of things that go into a ship that I think the general public just doesn't know about. Its like looking at a car engine. For the most part I see pipes and tubes going every which way. A mechanic will see alternators, carborators, and individual parts. We see fore stays, back stays, blocks, lifts, running lines. Regular people just see a lot of rope. It does beg the question why put the detail if no one will notice? There's a lot of answers to that. For the most part its who are you building for? I only build what I feel like building these days, and I am well-aware that most ship modellers do not really like merchant ships. 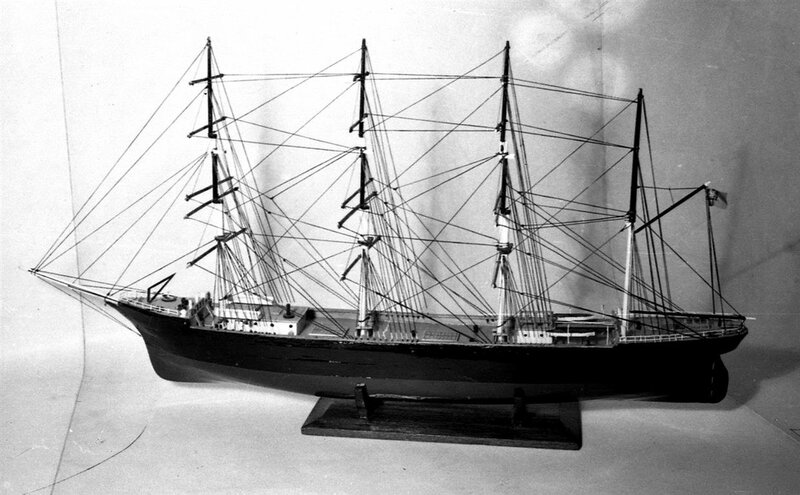 But I am also building for collectors, of whom a large number prefer miniature merchant ships above anything else, probably because they are scarce. Some people will notice fine detail where they will not notice glaring errors. I often find my models being descrbed as "perfect in every detail," but that is not so, because I am far from being a perectionist. I really haven't the patience to go in for super-detailing such as glazing portholes, or putting doorhandles on. But I do try to stick to scale and have fine masts and rigging rather than thick chunky ones and over-sized rigging. When comparing the two models, you were spot on with these differences. A model of the Bidston Hill (see below) that I completed, and sold in the early 1970s for £16, turned up on Ebay recently with a starting price of 99p with no reserve. I put in a bid for £16 just out of interest. Eventually, it sold to a buyer in the US for just over £400. When I contacted him later telling him when, and where I built it, and sending him a photograph of the Donna Francisca, (above), he said it was no better than the Bidston Hill, that he had just purchased! I have come across a lot of instances like that! Just can't understand it.